There are 67 Collectibles to find for the It’s all in the Writing trophy. Statues and Flags do not count towards this trophy. 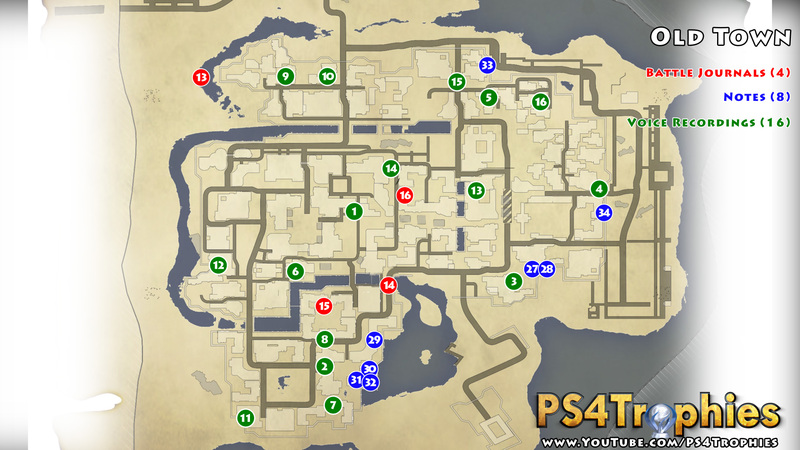 Click each map to enlarge it and watch the video for the exact location for all the notes, battle journals and voice recordings. 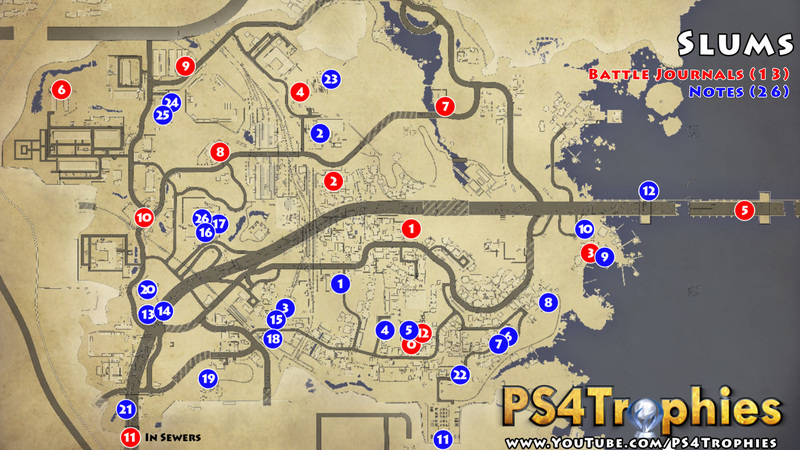 Many collectibles, especially notes, are not available until after completing story and side quests. So i finish all missions and side missions and wanna go for my last trophy: is all in the writing. I have 39/67 after finish the game 100%, but now i Can see that some collectables i Can only get from some side missions? Please help one of your trophy troppers.